The submission window for the 5th Annual Middlebury New Filmmakers Festival is now open. We are accepting submissions through Tuesday, May 21, 2019. We look forward to considering your film! Good luck! The Middlebury New Filmmakers Festival is all about exhibiting and promoting the dynamic and imaginative work of first or second time filmmakers. Our goal is to create a peer festival, a level playing field, a place to be discovered and talked about. We want you to feel at home here in Middlebury as we celebrate the work of emerging new voices in independent cinema. 1. The work must be either your first or second film, whether it’s a feature or a short. For example, if you have already made three short films, but you would like to submit either your first or second feature, then go right ahead. Or, if you have made a couple of features, but recently completed your first or second short film, then by all means submit the short. We are open to any genre, be it narrative, documentary, animation, experimental and VR. 2. Feature films should be at least 50 minutes long. Shorts can range in length from 3 minutes to 30 minutes. Extended shorts from 30 to 50 minutes will also be considered, although, if accepted, possibly classified as a feature. MNFF will also consider web series if the entire series does not exceed 60 minutes. 3. The work must have been completed after February 1, 2017, i.e., roughly within the past 24 months. We would like your work to be current. 4. We would love for your film to premiere at MNFF, but it is fine with us if you have shown your work elsewhere, i.e., at another festival or for a short theatrical run. We find it a bit problematic if the film is already out commercially as a DVD/Blu-Ray, up on a transactional platform like iTunes, on an SVOD platform like Netflix or Amazon Prime, a VOD platform like Comcast Xfinity or on a broadcast or cable network, e.g., PBS or HBO or Showtime. 5. We are not accepting works-in-progress at the MNFF. A selection of MNFF5’s winning features and/or shorts will receive valuable additional screenings in various venues around Vermont in the months following the Festival, as part of our Vermont Tour, under the auspices of the Middlebury New Filmmakers Festival. MNFF asks that our winning filmmakers allow us to screen their work at these selected venues as we create greater visibility for their films. Compensation for these screenings will be paid by the Festival to the filmmakers. The Vermont Symphony Orchestra Award for the Best Integration of Music Into Film, which includes the pairing up of a rising composer selected and compensated by the VSO with the winning filmmaker in the making of her/his next short film. In addition, the Award includes multiple live performances of the film’s original score simultaneous with the film’s screening beginning with the 2020 MNFF and as part of the VSO’s statewide and always anticipated Made in Vermont Tour. A remarkable and clearly distinctive award, by any standard. MNFF also supports feature film creators with four cash prizes of $1,000 each, all to be awarded at the 5th Annual Middlebury New Filmmakers Festival. The Hernandez/Bayliss Prize for the feature film that best captures the triumph of the human spirit. The Clio Visualizing History Prize for the Advancement of Women in Film, presented to a woman filmmaker whose feature film boldly portrays the story of a person or events of historical significance. The Gaia Prize for Environmental Filmmaking, honoring a feature film that delivers exceptional insights into environmental and sustainability issues. The Shouldice Family Prize for Best Vermont-Made Film, honoring a feature film [or a short film] created and filmed in Vermont. All four of these cash prizes represent an ongoing effort by MNFF to expand its core mission of financially supporting the work of distinguished first and second time filmmakers. Early Bird [Closed]: Opens January 3, 2019; closes January 16, 2019. Submission fees – $50/feature and $35/short. Regular [Closed]: Opens January 17, 2019; closes April 3, 2019. Submission fees – $60/feature and $45/short. NOW OPEN! Late: Opens April 4, 2019; closes May 1, 2019. Submission fees – $65/feature and $50/short. Extended: Opens May 2, 2019; closes May 21, 2019. Submission fees – $70/feature and $55/short. 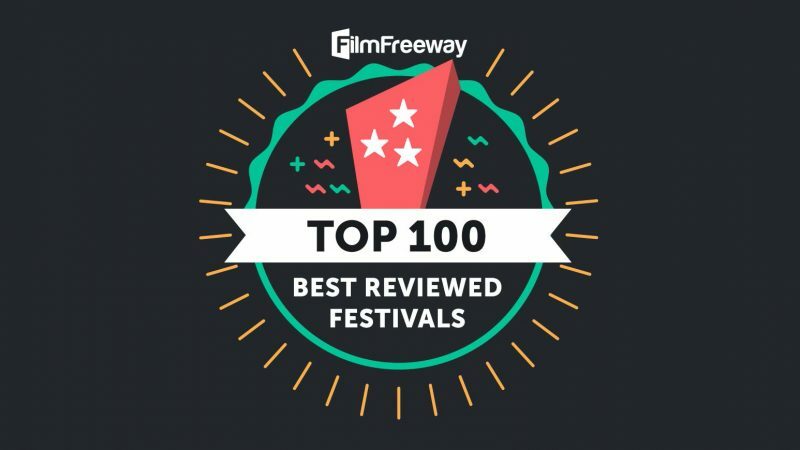 *NOTE: All submitting filmmakers who are Gold Members on FilmFreeway receive a 20% discount on their submission fee during any window. Beginning this season, the Middlebury New Filmmakers Festival is working exclusively with FilmFreeway on film submission. Secure uploading and online screening will be available on FilmFreeway for MNFF submissions. Please email us should you need to submit in an alternative format. The 5th Annual Middlebury New Filmmakers Festival rolls out August 22-25, 2019 in beautiful Middlebury, Vermont. We hope your film will be among the titles that we present to our enthusiastic audiences here in Middlebury. Thanks for considering us as part of your festival submission strategy and good luck!